Will responsive design improve your business results? There are justified customer-centric reasons for developing your site only for a particular environment (for a certain device type/screen size), but if you decide to go with RWD, you are responding with a “device-agnostic” approach, and providing the usability appropriate for a variety of devices, that is built for the future. The decision about investing in RWD for your e-commerce site won’t be only because you have a large number of visitors that come to you from their mobile devices. There are a number of other reasons that cheer for responsive approach, so here are some influential factors you might want to think about when deciding will your Magento store “go responsive”. 1. Maybe you don’t have that many mobile users, so you think that you don’t need to change your (theme) approach. But why is that? Perhaps you will have them much more, if you enable them a good mobile experience of your site. 2. So you now get that this is not just about a mobile approach – responsive provides a multi-device approach. Developing responsive is developing for the future, and it covers a greater world than just mobile. There is a good chance you will earn more visitors from a number of platforms, if you make a better user experience for their platforms. 3. When developing your Magento store responsively, you are saying a big “yes!” for easier upgradeability. Yes! If you have a separate mobile site, and separate desktop version, upgradeability is more difficult than if you have only one (RWD) theme. 5. Only one SEO strategy and only one-everything strategy. It’s so easy to understand this. You make campaigns, optimizations, keywords, URLs, and everything else with only one, your RWD site in mind – you don’t need separate campaigns and strategy for separate versions (desktop+mobile) of your store. Will RWD improve your business results? We have talked to some of our clients for who we have developed responsive Magento stores, since we wanted to know why have they decided to go with RWD and how are they satisfied with the results. 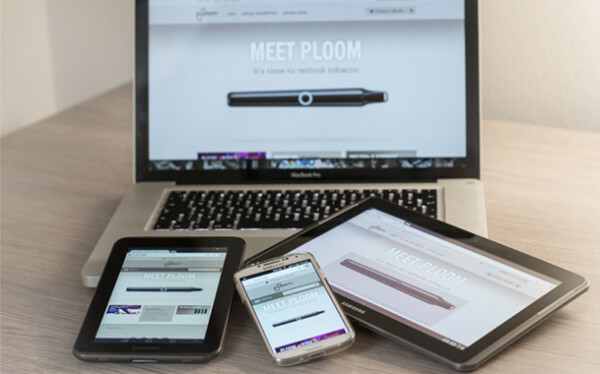 Although they think that work on Ploom.com is never done, they say that they are very pleased with the transition from a mobile version of their site to a responsive design that delivers the same content across all platforms. Joann said “more expensive, more complicated” – but what about the results? She said that there were a few challenging occasions when functionality was not responsive friendly and compromises had to be made during development, but the reaction from their suppliers and customers has been incredibly positive and their increased conversions reflect the success of the project. Are you thinking about going responsive?